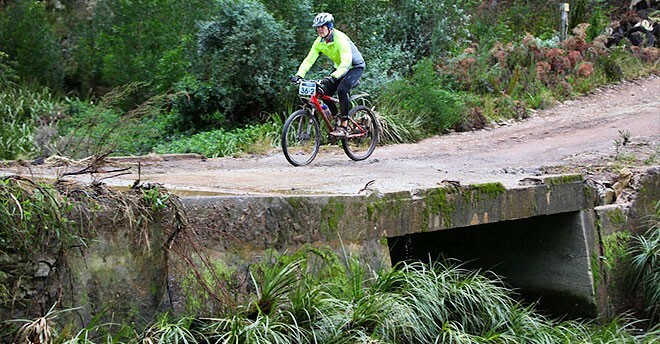 The Storms River Village Mountain Biking Route is 22km long and follows the old national road through the Storms River Pass, which was by-passed in 1955 with the building of the Pail Sauer Bridge on the N2. The 5km descent to the river passes through indigenous forest and offers some wonderful views of the gorge. At the Old Storms River Bridge you can swim. After crossing the river the route climbs out of the valley, to the coastal plateau, for a relatively flat section to the viewpoint which overlooks the Storms River Mouth. The return route circles back to the Storms River Pass and on into the Village.